To actually review this, I need to go back and read my last review and see where I thought things were left. But in the unlikely event that it changes nothing, I’m giving it a go now. Don’t be surprised if none of this text actually makes it into the final version, though! What bothers me about The Wound is that the War of Words felt like a turning point at the time. (Unless I’m wrong and it did not, see first paragraph above.) 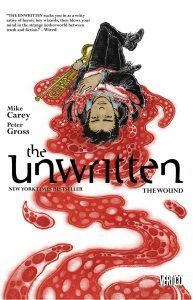 Whereas, after having read its sequel, it now feels like it was instead an ending, yet now Carey is writing more books regardless. Don’t get me wrong, he has a lot of leeway with me, so I’ll keep going for a while yet. So, the specifics. A year has passed since the big climax, and the world is… weird. Tommy cults, contagious schizophrenia, a quest to save fiction, not to mention the general “world going down the toilet” pre-apocalyptic events you’d expect in a good story / over the course of the next couple of years of real life, before things get legitimately awful. Plus also, the world of Fiction, which I had forgotten is a real thing that really exists and to which an assassin had been sent several books ago, is under the same threat. Because despite having won the war last book, Tommy’s world is still in a lot of trouble and he still needs to save it. And don’t misunderstand me, all of that is fine! Unless it’s an open-ended plot with no planned ending, solely designed to sell more comics. Because those eventually fall apart, and even though this one isn’t yet, I’m so suspicious that it would ruin it for me even before it becomes bad. Which maybe it wouldn’t anyway? Because of how Carey really is pretty reliable. I mean, did you read Lucifer? So, weird thing: I was actually exactly right and did not need to retcon the review at all. Which means the sausage got made in full view. …and even if he didn’t, look at how many times I’ve wanted to kick The Walking Dead without ever quite doing it. Okay, that one is pretty much par for the course, as it’s what the whole series is about. But the quest being out in the open is new. This entry was posted in Words and tagged fantasy, graphic novel on December 21, 2016 by Chris. This is weird. 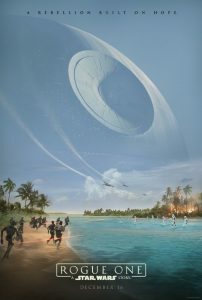 First of all, yes, I saw Rogue One over the weekend. Of course I did! And I liked it. 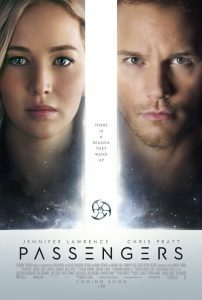 Yet, I have been avoiding this review like the dickens, and I don’t know exactly why. My best guess is, I liked it better than it probably deserves. The first act was scattered, and the second act was solid enough, but the third act was 100% predictable due to its inevitability. It’s hard to drum up much care about characters whose arcs you already know when you sit down in the theater, you know? Nevertheless, I did care about them. I cared about all of the new characters and I cared about watching the journey, and I didn’t mind the CGI faces very much, and basically everything that happened was good. Hell, even the music! Not composed by John Williams, and it still felt like a Star Wars score. Which is good, 2016 being the way it has been. Anyway, that’s my point. It was part hot mess, part incapable of surprising plot twist, and could easily be accused of leveraging nostalgia for everything left that was any good. But screw it, it felt like a Star Wars movie, and a thing that feels like a Star Wars movie is going to be unavoidably good. Hell, it was better than The Phantom Menace or Attack of the Clones. Also: I feel like they earned the title, and I was not confident I would feel that way. except maybe the insane terrorist guy on Jehda? I gather that maybe he’s in the Rebels cartoon that I haven’t watched any of, and maybe it would be easier to care about him if I had? But I did not, at all. Plot hole in comments, due to spoilers. This entry was posted in Film and tagged fantasy, Star Wars on December 20, 2016 by Chris. It’s the day after a big Star Wars release, so naturally I have a Star Wars review, about a story set in the early days surrounding the original movie, just like you’d expect me to have. Oh, wait, haha no, I haven’t actually gone to see any movie yet. Probably later this weekend? But my schedule, my wife’s schedule, and sellouts to places that have assigned seats conspired to keep me away last night. Even less likely than that, I wasn’t really thinking about this being release weekend when I picked up Choices of One to read last week. 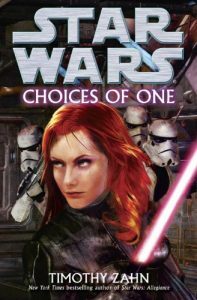 This Zahn novel is set between A New Hope and the Empire Strikes Back, and stars the big four plus also Mara Jade, Thrawn, and Pellaeon (and, oddly, no droids). The rebels are looking for a new base (which is commonly understood to be the only thing they did between those movies), Jade is looking for traitors, and Thrawn is looking for, um, I dunno. This is clearly a book introducing some long term Unknown Regions / Thrawn plot that will never reach fruition under the Star Wars Legends label, despite the foreshadowing provided here. Anyway, they all intersect out near the edge of known space, when plot involving air battles, gun battles, laser sword battles, and familiar stormtroopers occurs. I know I’m being glib here, as a way to avoid spoilers. So, in all seriousness: it is no surprise that Zahn still knows how to write Star Wars, and I look forward to some decades distant day when Will and Zeynep go through this book in far more depth than I have or could do. This entry was posted in Words and tagged fantasy, Star Wars on December 17, 2016 by Chris. Moving: awesome for getting to live in a place you like better than the previous place you lived, but terrible for not falling way way behind on book series that you are reading. Case in point: The new Fables collection picks up right after they banded together to save all of creation that had been threatened by developments from the side series about Jack Horner, and that is not a record of what had actually been going on in the main continuity, which means they are resuming a plotline I last read about three years ago. Awesome. 2) The winged monkey that has always been a bit player in the series as the magical archives librarian, at least I think that’s more or less what he is, turns out to be very cool, in a reader insertion kind of way. 3) Not that he’s the only game in town, but the new bad guy is pretty dang cool. I think I hope he lasts longer than I expect him to. I’d say I’ll do better at keeping caught up with this, but who would I be fooling? 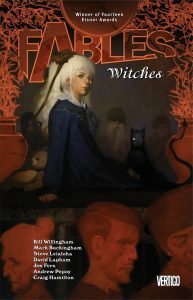 This entry was posted in Words and tagged fantasy, graphic novel on December 9, 2016 by Chris. It’s been a while since I’ve read an Honor Harrington book, and I honestly couldn’t say why. I mean, I know why I haven’t in the past let’s say year and a half, what with finally packing up my house and moving, and then getting engaged and planning a wedding before getting my books all the way unpacked from the move. But it was four years before that, and that is the part I cannot especially account for. Honor books are fun! Step one: space bad guys decide to be bad guys. Step two: space good guys leave Honor in an untenable position due to political wrangling or misplaced tactical / strategic thought that notably disagrees with whatever Honor correctly thinks instead. Step three: big naval space battle, which is somehow exciting despite being spread out across hours and hours instead of the 15 minutes of a Star Wars space battle. Step four: Honor wins and gets lots of begrudging accolades from the people she just proved wrong. What’s not to like? That said, this is the first book that has ended in such a way that I kind of want to know what happens next immediately. So while I understand not reading it that soon after the last one, I still can’t explain the fullness of the gap. Oh well? Here’s what you need to know about The Short Victorious War: it is foreshadowed by a history lesson from which the title is drawn, in which Imperial Russia tried to take on Japan just a brief time before the glorious Communist revolution. So when the space bad guys proceed in chapter one to plan their own short, victorious war against the space good guys in order to settle down the proletariat, the outcome of the book has already been decided. However, getting there is basically hilarious on the space bad guy side while maintaining the typically entertaining Honor formula on the space good guy side. Plus also, space romance!, if that kind of thing is your bag. The reason I think I am especially excited for the next book is because it ended on the kind of cliffhanger that leads me to expect things to pick up weeks later instead of the typical years later, plus also I expect the formula to be broken. Which is always more exciting than knowing exactly what will happen, despite how entertaining the road to it might be. I think this is because of the ratcheting tension. Leader of the space bad guy revolutionaries is named, and I swear I am not making this up, Rob S. Pierre. 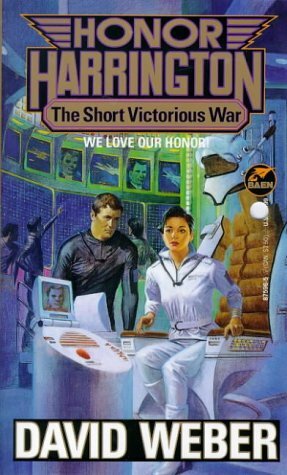 This entry was posted in Words and tagged Honor Harrington, military sci-fi, science fiction on December 9, 2016 by Chris.